‘Love is the absence of judgement’ (Dalai Lama XIV). Running his mouth off about a bunch of stuff nobody even cares about – it’s James Acaster. Nifty. Snazzy. 30 years old. Doing his best to improve his posture. 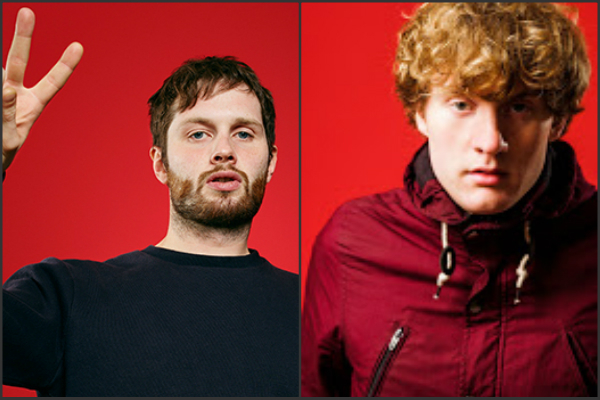 Foster’s Edinburgh Comedy Award Best Show nominee 2014, 2013 and 2012. Seen on Never Mind the Buzzcocks, Mock the Week, 8 Out of 10 Cats and Russell Howard’s Good News. Heard on James Acaster’s Findings (Radio 4) and The Josh Widdicombe Show (XFM). ‘One of comedy’s most original voices’ (Evening Standard). ‘Stand-up of the highest most playful order’ (Guardian). Hench-souled Pilsner socialist talks career, climate, breakup and the 1%. Edinburgh Comedy Award nominee 2014. Best Newcomer nominee 2013. ‘Number one comedy show of 2014’ ***** (Guardian). ‘Voice of a generation’ **** (Independent). ‘Delivered with marvellous moroseness, also fizzes with wit, intelligence and eloquence’ **** (Telegraph). ‘A clever and unique performer’ **** (Time Out).